We've been sitting on this CD for a while - it originally came to us via the former proprietor of Golden Rock. 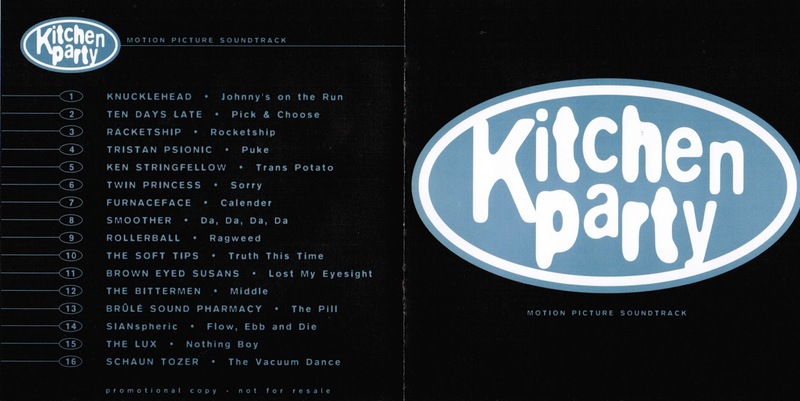 It's been years since we saw Kitchen Party - our memories of Gary Burns' second feature-length movie are super sketchy - and we barely remember the soundtrack. 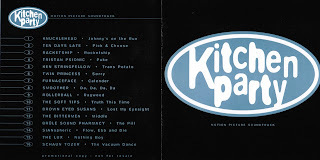 The soundtrack is an interesting mix of bands - Calgarians like the Soft Tips, Bittermen and Knucklehead mix with some of our favourite non-Calgary bands from the 90s, including Sianspheric, Tristan Psionic and the Posies' Ken Stringfellow.